The reports seem pretty dire, although the prognosticator at the root of all this – David Meade – has since revised his prediction to sometime between May and December, which is nice. April’s a beautiful month, and I’d like to get through the whole thing before the Four Horsemen ride. Other luminaries however, aren’t so sure, and continue to cling pretty tightly to this coming Monday as the numerologisical sum of all fears. Point being, why take chances? 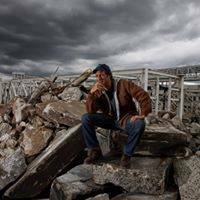 If this is the last weekend on earth, why not spend it watching Returning The Favor with Mike Rowe? Modesty aside, the last season has been terrific, and if you haven’t heard, the series has been viewed well over 200 million times. And really, what better way to feel better about the fate of Man than by watching our species at it’s finest? Better still, the average episode is only 20 minutes long, which makes binge watching ideal, and leaves even more time to catch up with the latest episodes of the The Way I Heard It with Mike Rowe, the #1 short-form podcast in the country. These little mysteries are just perfect for the end of days, and also super easy to binge on. Just go to mikerowe.com/podcast. Or, if you prefer something with more meat on the bones, TBN is airing half hour-versions of Somebody’s Gotta Do It with Mike Rowe, every Saturday night at 8pm, and Discovery is still airing Dirty Jobs with Mike Rowe every Saturday for most of the day. Finally, I’m accepting applications for our next round of Work Ethic Scholarships. Yes, I realize there’s a certain futility in applying for a scholarship after The Rapture, but you never know – a post-apocalyptic world might still involve electricity and plumbing, so why not secure your future now? Apply today at mikeroweWORKS.org/scholarship. Thanks, and have a great weekend. If we don’t talk before Monday, you guys have been great. See you on the other side!